The solenoid diaphragm metering pump Gamma XL with new operating unit and DULCOnnect offers an intelligent solution for digitally linking the system components. German metering pump manufacturer, ProMinent, has enhanced the performance of its intelligent solenoid metering pump series Gamma X with the Gamma XL. The Gamma XL has a higher capacity range of 8 to 80 l/h at 25 to 2 bar and, the company says, increases the versatility of the Gamma X product range and opens numerous new fields of application. The new solenoid metering pump is “Ready for Industry 4.0”. It has been designed as a smart product and can be connected to ProMinent’s web-based fluid management platform DULCOnneX. 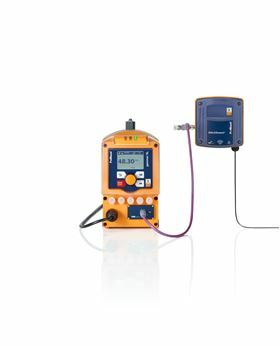 For digital fluid management, the Gamma XL includes integrated Profibus and CANopen interfaces for the connection to process control systems. This means that users are able to monitor, analyse and optimise metering processes, which can be monitored in real time, with automatic generation of reports. An additional highlight of the new Gamma XL is its extended connectivity, which minimises the consumption of raw materials used and operating errors, while improving customer service through networking, transparency, and automation.